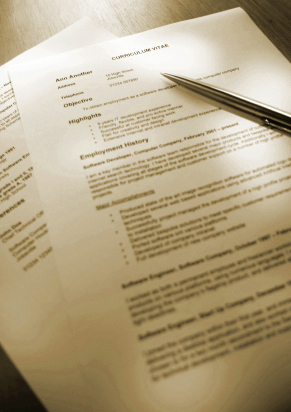 Resume Writing Tips - PJ Lewis Group, Inc. The most important thing to remember when writing a resume is that it is the first impression that you may make on a company and the reader. So make sure there are no grammatical or typographical errors. There are many differing opinions as to what the best format is today, but we subscribe to the opinion that the format is second to the quality of information you put in the document. List your name, address, home phone, cell phone, and email first. Provide a brief, 1-2 sentence objective. You don’t need a summary—that is what the resume should be, a summary of your experience. Education is next. Include the name, location of the university/college and your dates of attendance and graduation. If you didn’t graduate and do not have a degree conferred, list the dates of attendance. List your professional certifications, sales/broker license, or other professional credentials. Don’t list every course you’ve taken. Military service may be listed here as well. List your overall responsibility (the one or two MAJOR items you are charged with accomplishing). List your duties—those things you do to meet your overall responsibility. For example: Responsible for the lease of assigned properties. Duties include canvassing local tenants, marketing space to other brokers and direct calling of national tenants and or their tenant representatives. Please make sure you include use of various computer applications, but don’t put down things like email or the Internet. Ideally you will be able to put your personal, educational, professional designations and current job on the first page. This way the reader gets a good snapshot of you and your background. Repeat this going backwards with less information as you go into the past. Don’t worry about keeping it to one page. Two should be enough though. If you have a “project” or “deal” oriented position, then attach a Project or Deal List. Accomplishments are one of, if not the most, important parts of your resume. This is where you get the chance to tell someone how well you did something, in addition to telling them what you did. The accomplishments should correlate to financial impact whenever possible. Remember, companies are in business to make a profit. If you can show how you contributed to the profit—either made money or saved money for the company­—the reader may see you doing that for their company. Don’t use percentages (%). Use hard dollar numbers. Miscellaneous information such as hobbies and interests may be listed at the end of your resume, space permitting.